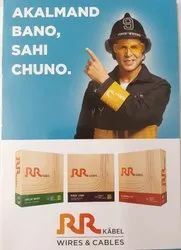 India’s 1st REACH and RoHS Compliant Cable | Heat Resistant and Flame Retardant Cable. 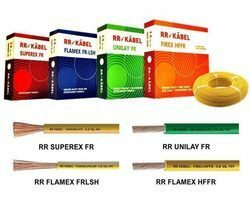 We are a renowned name in the market offering wide assortment of cables and present efficient range of RR Copper Cables. These power and control flat cables can be used on festooned systems on handling equipment as overhead cranes. They are designed for indoors and outdoors for ambient temperature down to -25°C.These cables can accept a trolley traveling speed up to 120m / min.